I swear fries are one of the most delicious foods ever created.They might even be evil, that’s right. Someone created them so that we’d constantly be tempted to spoil our diets. Between the salty crispness to the contrast of dipping them into tangy ketchup, I could eat them every day. Of course, my body begs to differ. Baking fries has always been a decent option to avoid greasier fried food. But, these Butternut Squash Baked Fries take “better for you” options to the next level. They really do. I found it fun to learn that in Australia and New Zealand they call it Butternut Pumpkin. That is just too cute, I like it. Other things that I learned about Butternut Squash while fishing around the “net” is that it’s a good source of fiber, vitamin C, manganese, magnesium and potassium with notable amounts of vitamins A and E too. Sounds like this girl needs to make more of these fries, huh? I asked you guys on Twitter if you could guess what kind of fries these were and you had some tasty answers. Most guessed sweet potato fries and another clever tweeter said carrot fries. Now, that sounds just the like next little kitchen experiment in the making! Yum! So anyway, if you are looking to incorporate something tasty and different to your cooking repertoire, these are delish! Recipe adapted from The Virgin Diet Cookbook. Pre-heat oven to 400° F. Peel and remove seeds from one large butternut squash. Cut into even "fries". Toss in olive oil and sea salt. Spread out on lightly oiled baking sheet. Bake for 20-30 depending on size of your squash. Turn squash several times to ensure that each side gets lightly browned. Enjoy! Are you a fan of fries? Have you ever tried baking as alternative to frying them at home? What types of fries have your tried, which are your fav? Fun! I've only done sweet potato fries before. 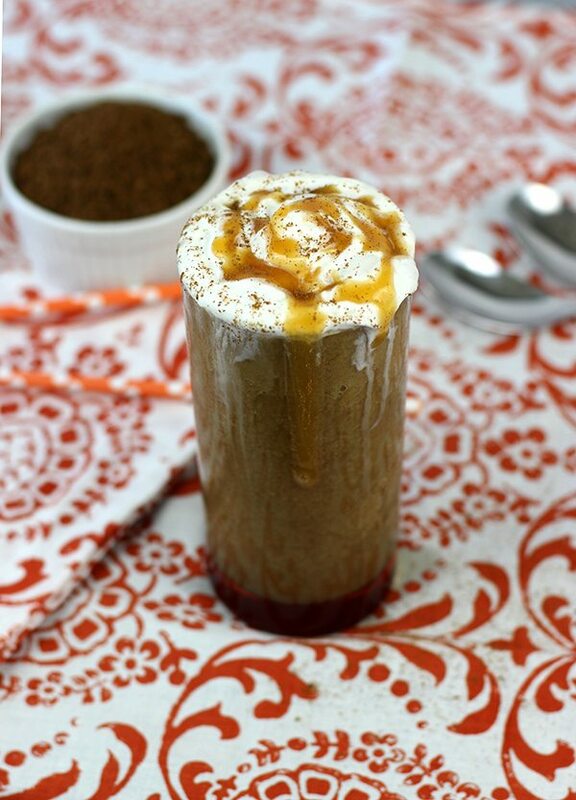 Who knew you could use butternut squash up this way?! Great idea! Yummy! 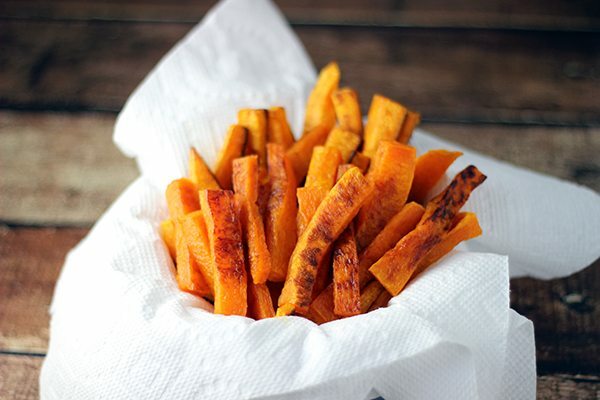 I love sweet potato oven fries and I bet these are fantastic too! Butternut squash is a favorite winter squash in my house. Can't wait to try these. These sound awesome. Love any kind of fries. Tee hee! I'm a sneaky one! ;) I really hope you like them.. let me know! I've never even considered making fries from butternut squash. Sounds interesting, and they look delicious! Hope you'll give them a try! 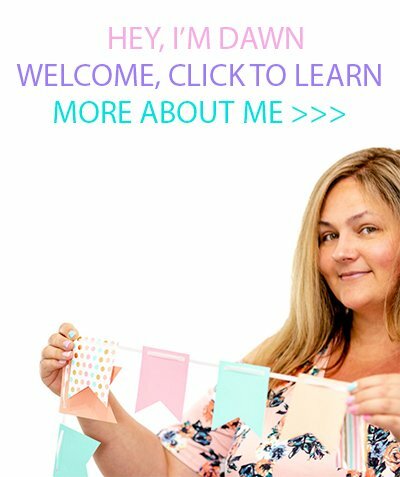 Promise you will love them! those are a staple in my home! These sound so delicious! I love fries! What an excellent idea!!! I LOVE fries, too, and they certainly are evil. These look like the perfect solution. Woo hoo!! They definitely curb that craving! I am officially addicted! These look so good. 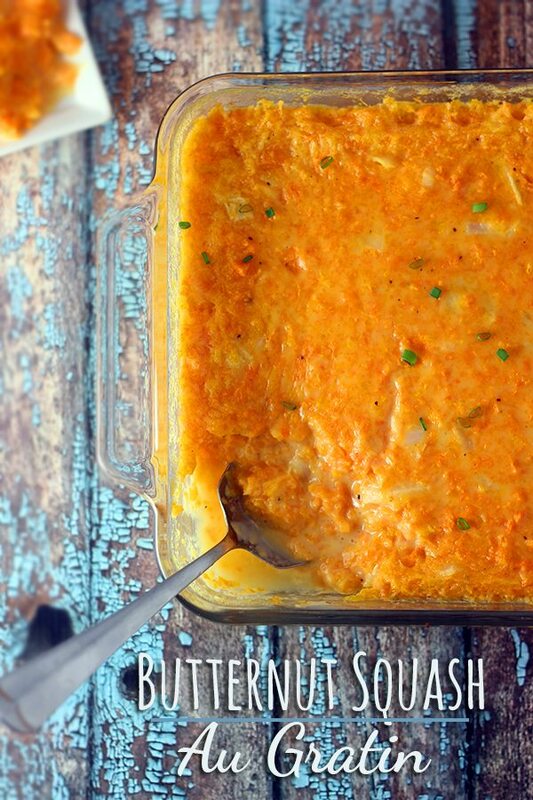 I love butternut squash and totally need a new way to make it. Pinning for later. 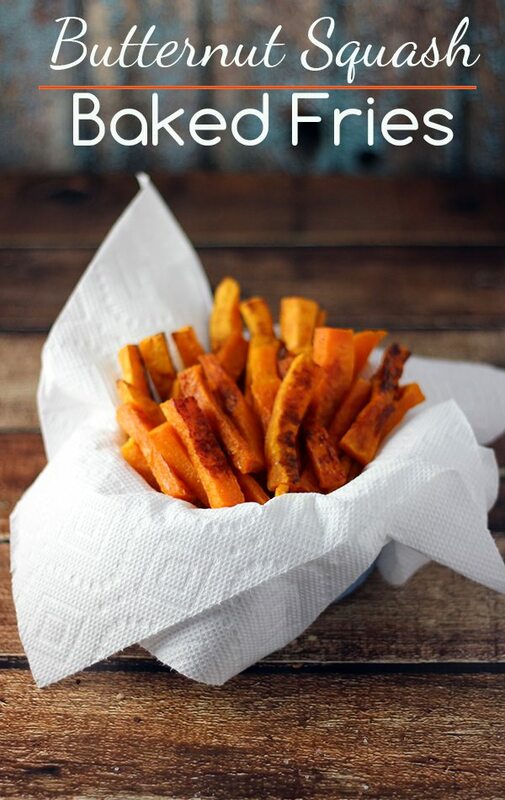 I love the idea of baked butternut squash fries! They look so yummy! I’ve pinned this recipe, and I can’t wait to try it out. Thanks for pinning Catherine ;) I hope you enjoy them as much as I do! These sound delicious! I might even have to try them while we are out camping - they would be perfect! Ooh now these would be really fun on a camping trip! What a great alternative! This would be great for my daughter. She loves squash and fries so this is perfect! I make sweet potato fries but haven't tried making them with butternut squash. They look so delish! Hope you get a chance to try, I might even like them better than sweet potato fries.. They bake up a little firmer! this sounds great, sounds like I can have this on my Paleo diet! A diet where I can eat fries and almond bark? I am all in 100%. I love fries too and just ate some bakes potato fries with Greek cucumber yogurt dip. I cant wait to try the butternut squash ones. It is so easy! LOL! Jen! You think like me ;) Ooh Greek Cucumber Yogurt Dip sounds amazing! We love fries. We generally just have the frozen ones you can bake in the oven. I love sweet potato fries and never would have guessed a butternut squash could make fries! I love those too. I am so trying this out at home. I have made these in the past and my family loves them to pieces! What a great healthy alternative, I bet they are delish! Bookmarking for next week, thanks! Oooo, I was right. I said they were baked from love and it's true! :) omg, I do love them, I do! They look absolutely fantastic. That does sound really good. I made parsnip fries once that were a big hit. I have never baked them but now I really want to try them. Your food is always so beautifully well done, I mus try!! Amazing! Confession, I have never purchased or eaten a butternut squash. A friend told me about Butter Nut Squash Macaroni & Cheese, so I added that to my list of recipes to try, now that I am focusing on a healthier lifestyle. I will definitely be adding this recipe, too. I am hoping they have the squash at the Farmer's Market today! I love baked fries, but never would think to use butternut squash! To be honest, I don't think I would know a butternut squash from a beet in the store lol! Oh my yum!! And guess what this Mama has in her refrigerator?... Butternut Squash!! Definitely trying this! These look really good! I would dip them in Ranch!